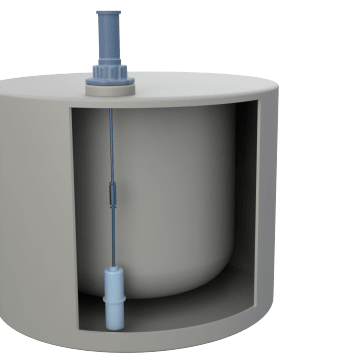 Use these gauges to detect water leaks or overflows in the interstitial space between walls in a double-wall containment tank. The indicator on these vertical float gauges is mounted on the top of the tank and turns red for an easy-to-see alert when the water level rises. The float hangs in the space between the walls and is attached to a rod for controlled up-and-down movement of the float.